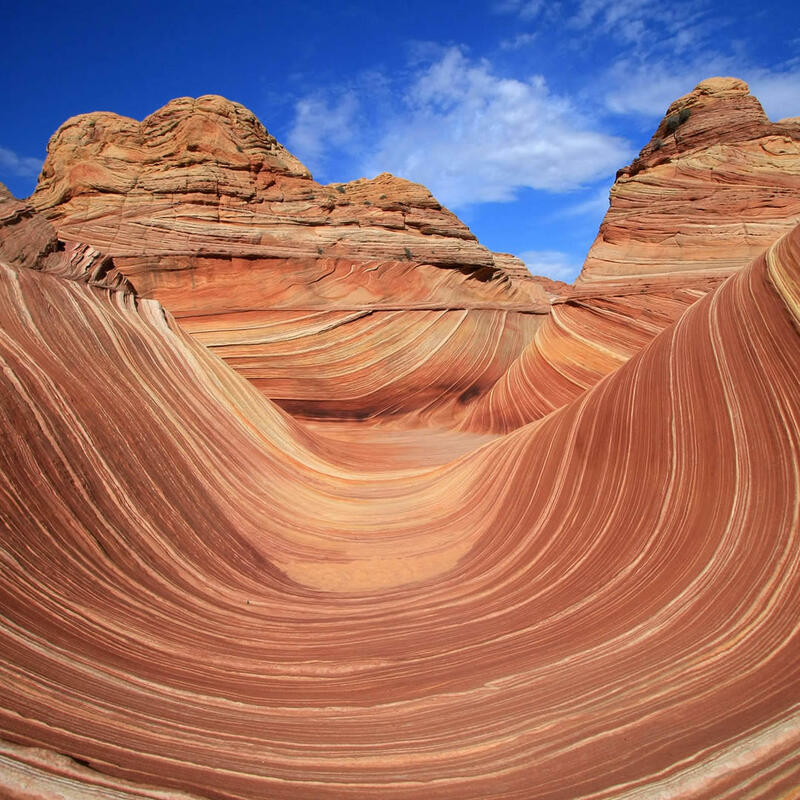 Located in Arizona, near its northern border with Utah, The Wave is a sandstone rock formation situated on the slopes of the Coyote Buttes in the Paria Canyon-Vermilion Cliffs Wilderness of the Colorado Plateau. 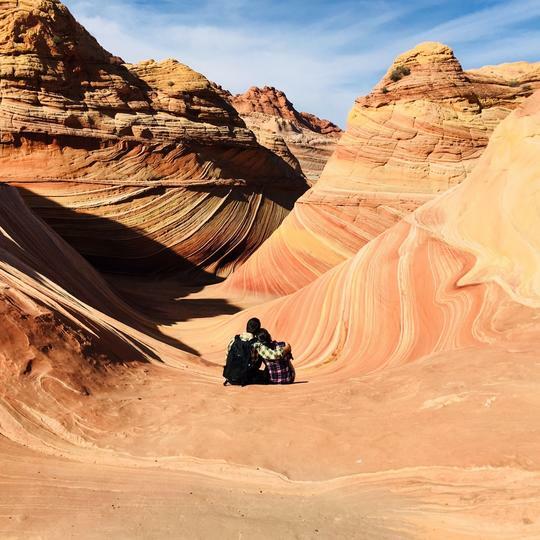 The area is administered by the Bureau of Land Management (BLM) at the Grand Staircase-Escalante National Monument visitor center in Kanab, Utah. 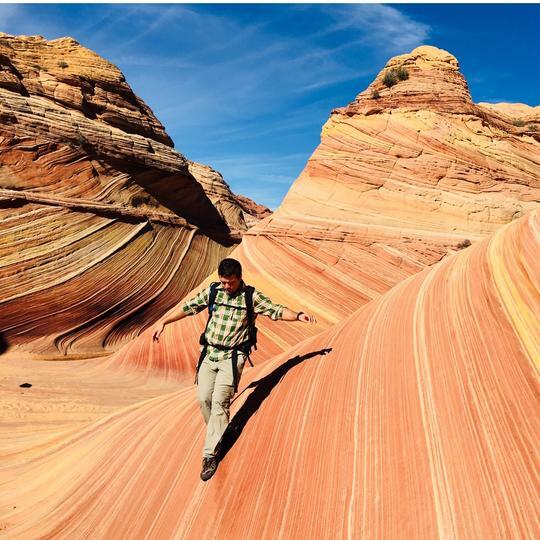 Known well among hikers and photographers the formation is difficult to hike and due to its fragile nature, people wishing to visit it have to apply for a permit at the Kanab visitor center.